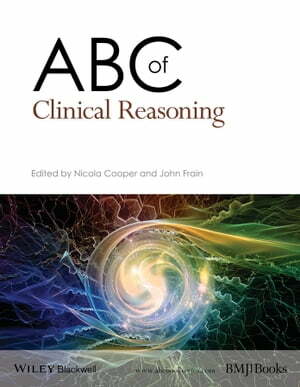 Collins Booksellers - ABC of Clinical Reasoning by Nicola Cooper & John Frain, 9781119059127. Buy this book online. Being a good clinician is not just about knowledge – how doctors and other healthcare professionals think, reason and make decisions is arguably their most critical skill. While medical schools and postgraduate training programmes teach and assess the knowledge and skills required to practice as a doctor, few offer comprehensive training in clinical reasoning or decision making. This is important because studies suggest that diagnostic error is common and results in significant harm to patients – and errors in reasoning account for the majority of diagnostic errors. From an international team of authors, the ABC of Clinical Reasoning is essential reading for all students, medical professionals and other clinicians involved in diagnosis, in order to improve their decision-making skills and provide better patient care.